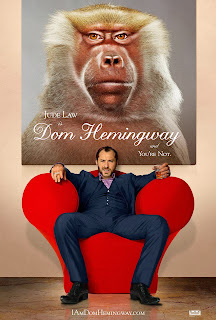 Plot: Role of Dom Hemingway is being played by Jude Law, a larger-than-life safecracker with a wobbly temper & who is funny, wicked, and dangerous. After a long prison of about twelve years, he goes to his partner who was with him during his crime days, Dickie Dickie (Richard E. Grant) looking to collect what he's owed for keeping his mouth shut and protecting his boss Mr. Fontaine (Demián Bechir). Dom tries to re-connect with his estranged daughter (Emilia Clarke) after he experiences the death but unfortunately gets back into the world of crime which he knows, looking to settle the vital liability.